Through the years, Counter Strike has undergone various changes, all of which for the betterment of the game. Still, a lot of long-time players look back to the simpler and graphically inferior past just because of nostalgia. That’s why a few developers created a game that has the engine of CSGO but has CS 1.6 weapons and mechanics; that means no CSGO Skins. And it looks good; CS 1.6 good. Called as Classic Offensive, the game (or at least the project, as the game has yet to be released) has been on Steam Greenlight, a part of the Steam Community that decides which games will be available to the platform. Seems like there are a lot of fans who want to relive the good old days of CS 1.6, considering that the project was green-lit (pun intended), and that there are 700+ pages of comments in support of the game. If you check out the Steam greenlight page of the game, you’ll see a few previews of the game. And it is smooth. Late 90s to early 2000s smooth, that is. It’s obviously the aesthetic that they were going for, as CS 1.6 was 0released around that era. And of course, no CSGO Skins, just the way it was back in the day. That, unfortunately, means no CSGO guns, which is a shame because they’re really so much better than those found during those days. But hey, they’re going for the nostalgia and faithfulness to the original game, and for those things a few good guns have to be sacrificed. The game has yet to be released, but good news: it’s free-to-play. Well, it doesn’t charge a single dime by itself, but you’re going to have to buy the main CSGO game in order to play it (duh). CSGO is rather cheap though, so you don’t have to worry about the price. 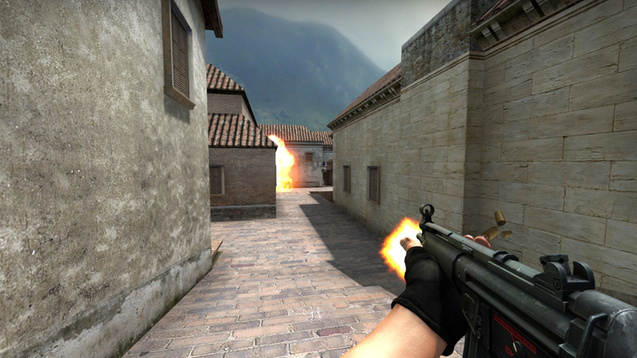 Relive the old but gold days of Counter Strike with Classic Offensive. Sure, it’s doesn’t have the polish, metagame, and CSGO skins its more recent counterpart has, but it definitely got that old Counter Strike vibe that never truly goes out of style.